Many of the jobs have been announced in the School Education Department by the Government of Punjab. Education Department of School of Bahawalpur district has been announced. 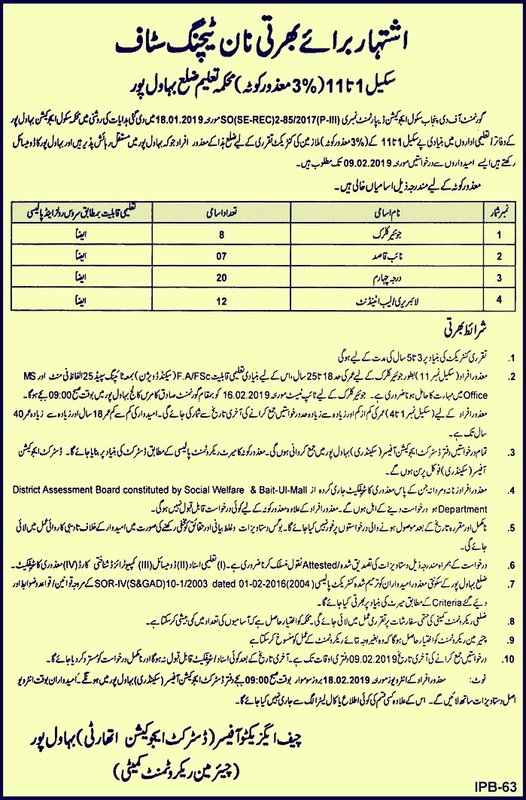 These are the names of jobs announced Junior Clerk, Naib Qasid, Lab Attendant. The school education department can also apply disabled people in the job of Bolwalpur. 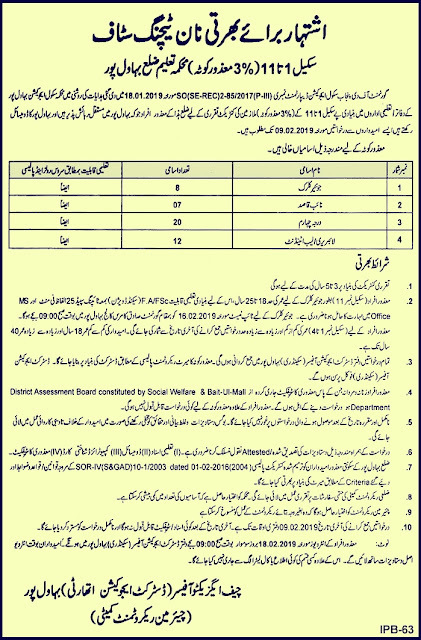 School education department both men and women are eligible to apply in Bahawalpur. You must be 18 to 25 years for this job. All requests will be submitted to the District Education Officer's office Bahawalpur. All attested certificates should be submitted with the application.